Pahana is with us in these End Times. Share our Spiritual walk. walking the High Spiritual Path? Pahana lives! Exciting fulfillment of Hopi prophecy is happening! End Times revelations of Hopi, other Native Americans, biblical prophets, and current day spiritual elders are brought to light in this spiritual gathering place. Insight is shared on how we can survive the Great Purification and Armageddon, and prepare to enter the next world. Most of us would like to know peace and happiness, but how can we accomplish this? How can we rid ourselves of loneliness and depression? 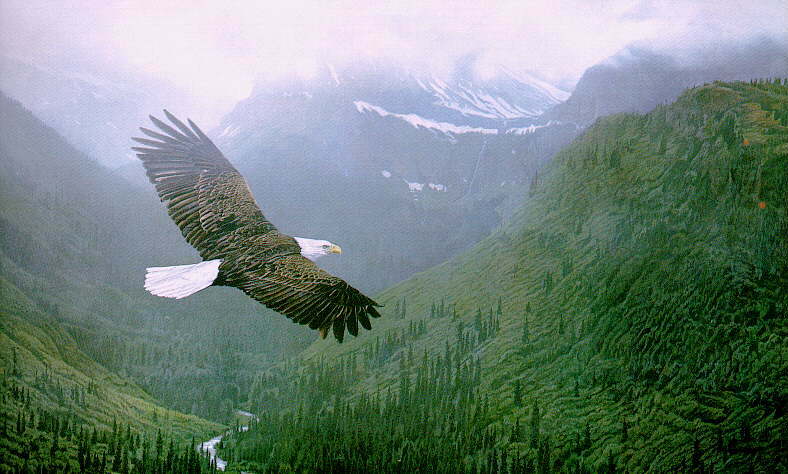 Can we be as free and at peace as a soaring eagle? These things are possible. We can learn how to build and improve our relationships. We can begin to understand why we may feel lonely when we are alone. As we become aware of problem areas that stand between us and happiness, we can begin to solve these problems. Unconditional love is healing love. Some think this is an impossible state of being to attain, but we have been shown the way. When we learn to live the way of unconditional love without judgment, our whole life becomes miraculous. Insights shared on this site can help us find the spiritual answers for which we seek. They are practical applications which promote emotional, physical, and spiritual healing. Let us share with you the continuing prophetic saga of the Hopi people. We believe Pahana will reveal himself again very soon. Hopi Nation awaits the Return of Pahana, the True White Brother. Walking the Red Road is a way of life that leads us to respect and honor all of Nature and guides us into the loving arms of Creator. Cherokee elder and wisdom-keeper John Red Hat Duke and Dottie Daigle, also known as the Lady in White, teach spirituality needed for entering the New World. Do Christians distinguish between Jesus and Christ? Most Christians seem to believe that Jesus and Christ are one and the same. Is this true, or are they completely different and distinct entities? Jesus used Parables to teach valuable lessons. Has mankind understood any of what Jesus was trying to tell us? Do his parables each have more than one meaning? Enlightenment is knowing ourselves. Are you really who you think you are? True Enlightenment comes from looking deeply and truthfully at ourselves. If we can look at ourselves honestly, we can truly set ourselves free. Laws become obsolete when people learn to live in Love. When people love each other without conditions, they automatically follow the Golden Rule without thinking. Is the Star Cluster Pleiades the place where the human race originated? Are they still trying to guide the human race to a higher level of Spiritual Awakening? This is the Contact Page for www.PahanaLives.com.